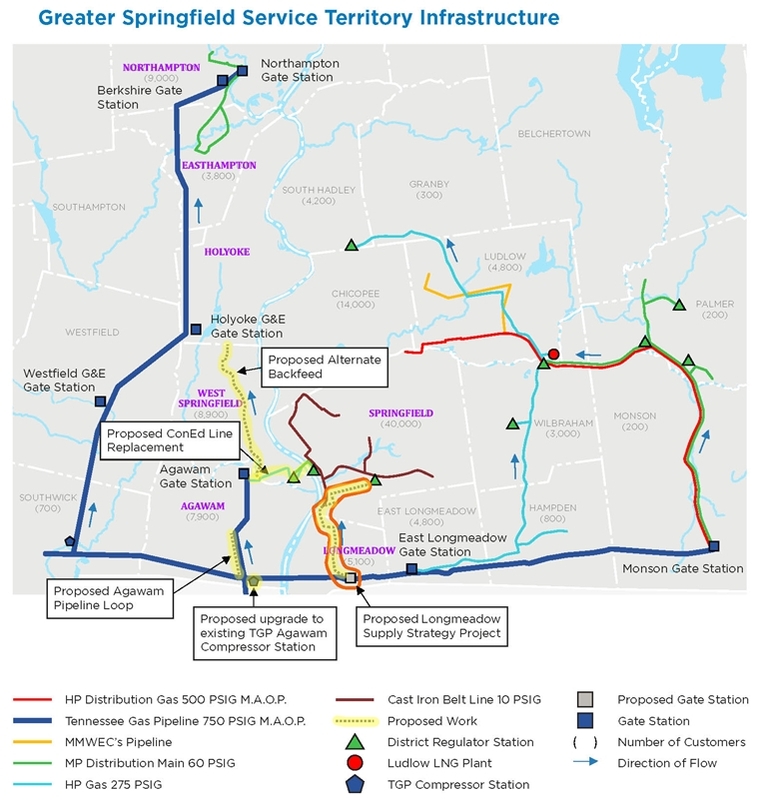 Columbia Gas is proposing five (5) infrastructure projects in its Greater Springfield Service Area to increase system reliability, accommodate expanded use of gas, and end its current moratorium on new and expanded gas use in the Northampton Service Area. The projects include Kinder Morgan (Tennessee Gas Pipeline, TGP) upgrades to the TGP Agawam compressor station and a new loop along the TGP Agawam lateral, as well as a new pipeline to be built by Columbia bisecting West Springfield south to north, a new (or replacement) pipeline in Longmeadow and Springfield, and a replacement pipeline in Agawam and West Springfield and then across the Connecticut River into Springfield. Map below.